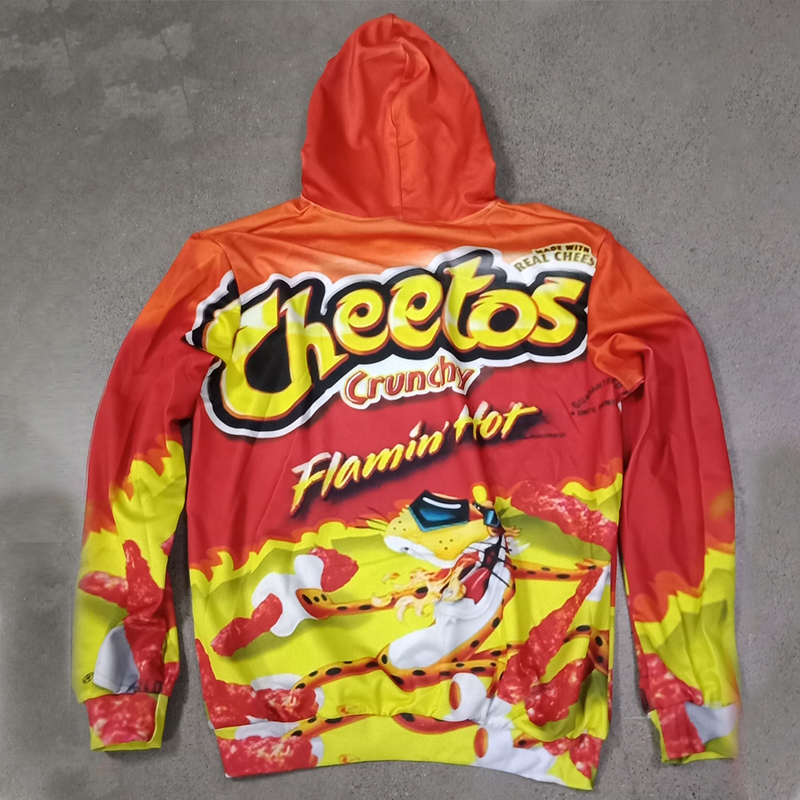 Hoodies for Men presents this quality Fun 2018 Flamin Hot Cheetos 3D Hoodie. 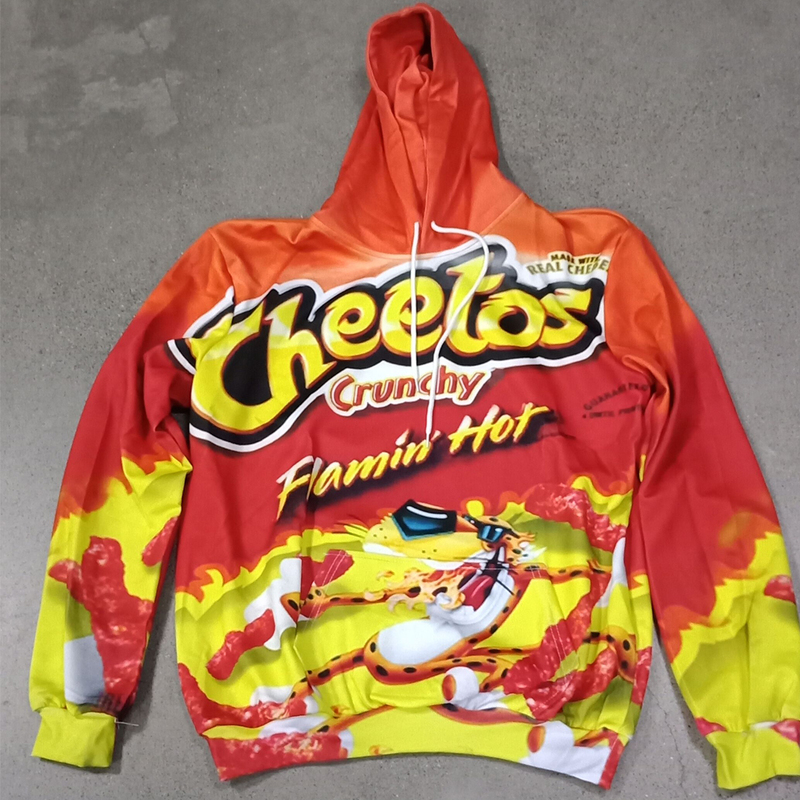 Ideal as a streetwear hoodie or just casual wearing around the house, its fun to wear. 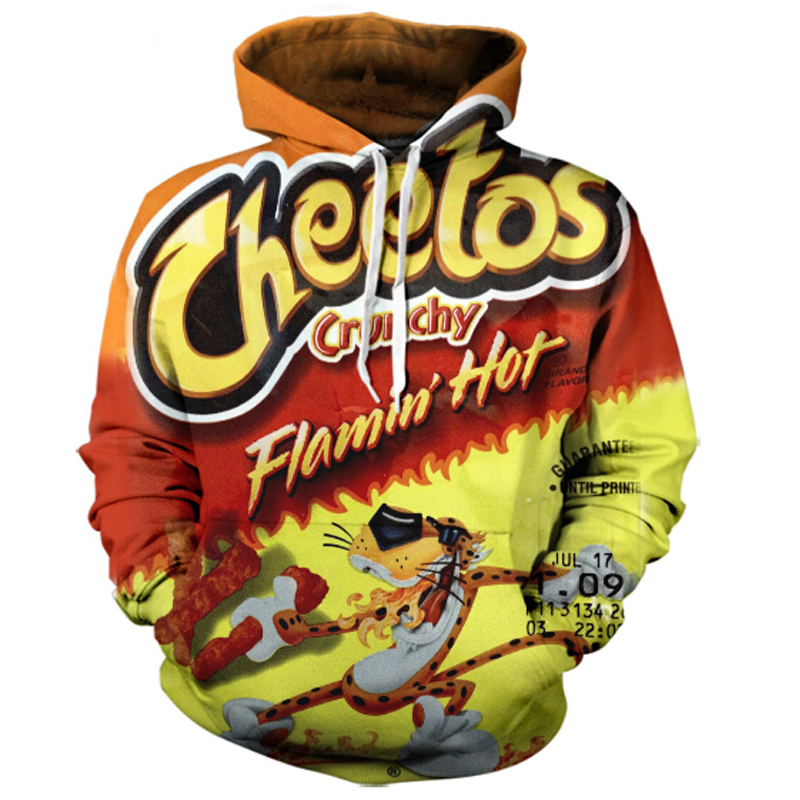 Hoodies for Men presents this quality Fun 2018 Flamin Hot Cheetos 3D Hoodie. 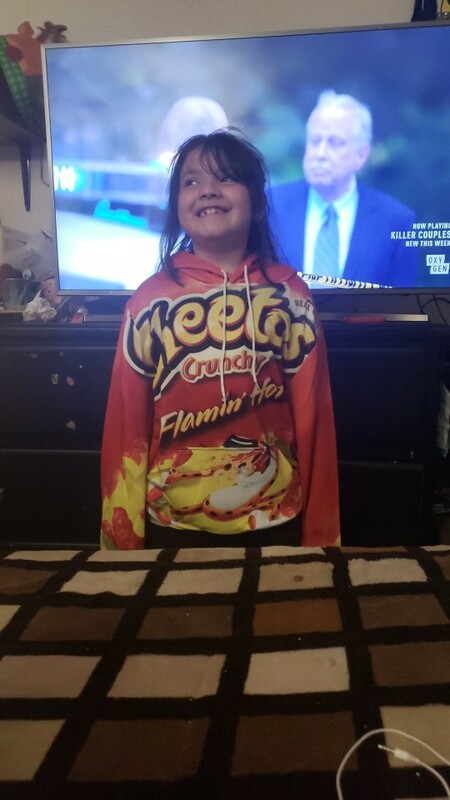 Ideal as a streetwear hoodie or just casual wearing around the house, its fun to wear. The hoodie has quality double stitching and high-quality 3D print that won’t wear or tear for years to come. I am satisfied with the product that was received. However, it shipped very slow from the vendor and took a month to receive. I also received inaccurate delivery information from the vendor, but I am certain the inaccurate information was not the vendor’s fault. They were informed by the delivery courier that the order had been received by me when it had not. The order was received the next delivery day though. Всегда заказываю размер как они говорят вам. LoL осталась довольна покупкой спасибо! Дочка ходила с ума, когда она увидела толстовка! Пришла очень быстро. 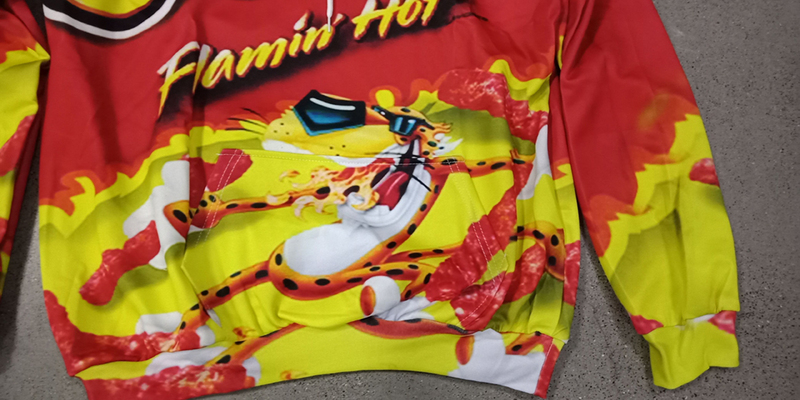 Размер маломерит, взяла 5xl, сидит как 2xl. Швы достаточно ровные, но на изнанке нитки не в тон. Материал – плотный тянущийся трикотаж. Бирки пришиты криво. В целом, работа на 4 с большим минусом. Great product fast delivery .